This post is brought to you by Verizon Media. You don’t have to be a celebrity hairstylist to know that Singaporeans are crazy about their locks, and that specialised haircare products are consistently in high demand here. The results of a Verizon Media study to investigate consumers’ online shopping behaviour bears this out. Remarkably, we found that online shampoo sales have grown threefold over the past year. To discover how Singaporeans conduct their coiffing and tend to their tresses, we initiated preliminary research using data drawn from web searches, content consumption and commerce mail by Yahoo users. We assessed consumers’ purchasing habits across more than 20 types of shampoo. These ranged from products that cater for coloured or straight hair to those that promise to make oily scalps less slick. We found shampoo shoppers generally find their own hair type to be unique, so the way we perceive our hair has a direct link in influencing our purchasing habits. To put this in perspective, 20% of all shampoo sales in Singapore were for haircare lines that promote hair-loss prevention. This is hardly a surprise given our hot and humid climate. According to the data we collected, online sales of such shampoos grew one-and-a-half times per quarter last year. At the same time, sales of those promising greater silkiness grew even faster through digital channels. Four out of 10 of these online shoppers fell between the ages of 35 and 44, with 78% being women – very likely mothers buying shampoos for their families. Further purchasing data analysis revealed important secondary factors, including the lure of natural ingredients by increasingly health-conscious consumers. We found that over the years shoppers have shifted their focus from instantaneous smooth, straight and shiny hair – the type we are used to seeing depicted in commercials– to those that promise a healthy head of hair. A growing desire to avoid chemicals has driven health and personal care brands to include natural ingredients in markets around the globe. Keywords such as “herbal” or “organic” have added appeal to inform purchasing decisions. For example, shampoos with ginger as an ingredient accounted for 15% of sales here. Such niche factors benefit personal care brands from Korea in particular, as these often highlight their use of organics. Indeed, out of Singapore’s top 10 shampoo brands, three are Korean. Moreover, variants that also tap into hair loss prevention unlock the high percentage of Singaporean consumers who view this as a crucial purchasing factor. 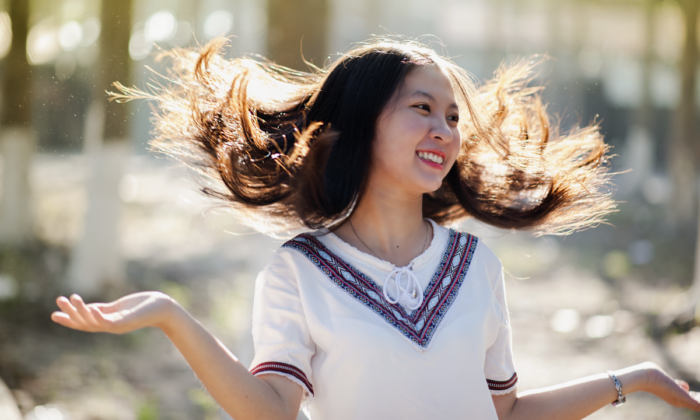 Interestingly, Korea has an edge not just on haircare products, but also on how Singaporeans prefer to wear their locks, borne out by the remarkable 85% of hairstyle-related searches draw Korea-inspired results. Four out of 10 online shoppers for shampoo are aged between 35 and 44. 78% of online shoppers for shampoo are female. 20% of online shampoo sales were for hair-loss related products, growing 1.5 times per quarter. Three out of 10 top shampoo brands are Korean. 85% of hairstyle-related searches drew Korean-inspired results. Keywords such as “herbal” or “organic” adds appeal to purchasing decisions with shampoos with ginger accounting for 15% of online shampoo sales. Gifted with the benefit of such insights, marketers would do well to leverage the power of data by crafting campaigns and strategies which mirror purchasing trends that are unique to geography. For instance, marketing initiatives in Singapore should place more emphasis on products for hair damage with organic ingredients to increase their reach, as opposed to routine mass-marketing techniques. Ecommerce strategies could include either offering haircare-related products such as hair oil, conditioners and specialised treatments as a bundle or by offering purchase-with-purchase discounts. In an age where data has a greater value than oil, data collected through consumer engagement and interaction will help marketers to form the best strategies based on geographies and associated demand and trends. Marketing strategies in Singapore, for example, should spotlight marketing efforts based on customers’ needs and preferences depending on their behaviours and persona, in contrast to traditional mass marketing approaches. At the same time, a one-size-fits-all campaign is unlikely to yield high returns, since consumer behaviour is so tightly linked to changing trends and lifestyle habits.